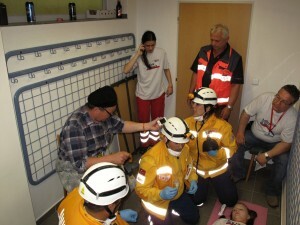 Rallye Rejviz is an International Professional Exercise and Competition for Emergency Medical Service Crews, founded in 1997. 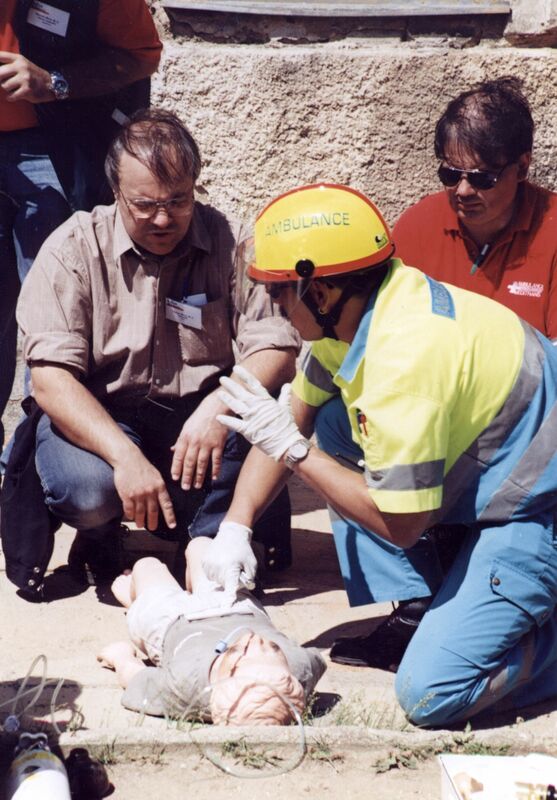 The Rallye Rejviz was created in 1997 as a part of an EMS Conference celebrating the 20th anniversary of the EMS in Jesenik, the Czech Republic. At every EMS conference, there is an exhibition of medical equipment as well as ambulances. When Jan Marsalek, the manager of RCS Brno, visited one of these meetings, he asked: “Why are all these cars just sitting here? Why don’t they run around?! ?” And thus the idea of the rally was born. Dr. Jiri Stana, the organizer of the Conference and director of Jesenik EMS then helped the idea to become a reality. The name given to this rally is that of a truly magical place Rejviz – in the Jesenik Mountains. It is where the original rally was run and to this day a large part of the rally has been running in and around Rejviz. There is no doubt that rescue work and EMS are physically and emotionally demanding, stressful and often exhausting. Sadly it is also often underpaid and unappreciated by society, which takes it for granted. As a result, many workers become frustrated and disillusioned and sometimes feel that their work is truly that of fools who devote themselves to the service of their fellows. 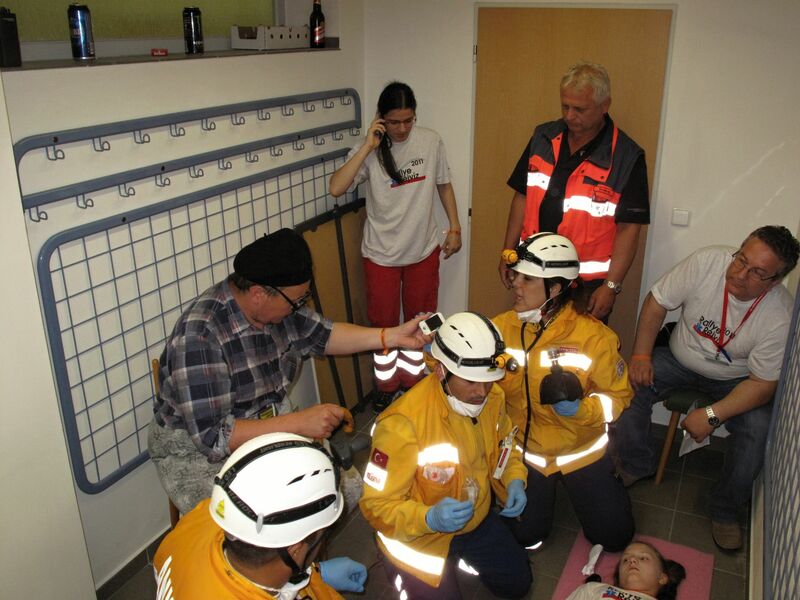 “You Czechs have one of the best EMS systems, since you also have the best sponsors!” When we asked who these sponsors were, since the Czech EMS is a goverment directed organization, he replied: “You, he, she, … you are all those sponsors ..” He’s right! We, the rescuers and EMS workers, are the main sponsors and supporters of EMS and we are proud of it! Every dedicated rescuer invests into his occupation plenty of his own leisure time and energy. Could we not do anything for them? One possibility is to offer them a chance to meet together, interact and thus to recharge their batteries or receive a “transfusion” of energy. This is how the Rallye Rejviz Project came into its existence. The Czech rescuers now meet and cooperate in a different way. In the last several years we have noticed how eagerly this event anticipated is and how much the workers enjoy socializing and meeting together. They share information, learn from each other, and discover that they are not alone. During its existence, the Rallye Rejviz emerged in its present form the methodical work of professional standard crew of emergency medical services while meeting the social workers rescue services. The practical form of competition for this job is rehearsing the coordination of crews during simulated intervention (tasks are designed as a normal hit emergency services) and professional abilities of individual crew members – a doctor, a paramedic and a driver. A great benefit is the exchange of practical experience among emergency services personnel from throughout the Czech Republic and abroad. Rallye Rejviz organizer is a civic association RALLYE REJVIZ, founded by members of the realization team Rallye Rejviz. Rallye Rejviz is conceived as a car orienteering competition, complemented by specialized tasks with the theme of emergency medical services. The competition is assessed in a uniform scoring system, the winning crew is the one with the most points. During its existence Rallye Rejviz got high reputation, and took over the professional guarantee of Czech Society for Emergency and Disaster Medicine and Slovak Society of Disaster and Emergency Medicine and became part of professional training of medical emergency services. Traditional organizers and sponsors are Olomouc Region, Fire Rescue Service of Olomouc Region, Mediprax CB, SICAR Sibrina, ZOLL – OMS, Studio-4 Jesenik, Czech Police of Olomouc Region and many companies and organization and many enthusiastic and passionate individuals, without whose voluntary work Rallye Rejviz could never exist. Thank you!